Beaumonters. We are a unique people, with tenacity, style, personality, and heart. The combination of these qualities has resulted in an antique and vintage community that is vibrant and varied. Taking a trip around town to our various antique stores is an all-day affair, and one that will leave you with a new view of the city. Our shops feature such a range of styles, that each one fills an individual niche. Finders Fayre, in the stunning Mildred Building, has the distinction of bringing high-end, fine European antiques to Beaumont. Where else can you find authentic Louis XIV furniture? Similarly, quality European decorator items, statement pieces, furniture and classical décor can be acquired at Burns Antik Haus. Be sure to visit their gallery for a glimpse at stunning local artwork. The small antique mall Grandma&apos;s Basement is the place to shop for the mid-century enthusiast, with vinyl records, furniture, estate jewelry, kitschy and vintage clothes. Urban Habitat specializes in expertly re-invented furniture. Their focus is on French-Country design and interiors, with an industrial twist. If chippy, rustic and shabby is your style, you can&apos;t miss this little shop. Jan&apos;s Antiques is a great spot for collectors looking for that special piece. 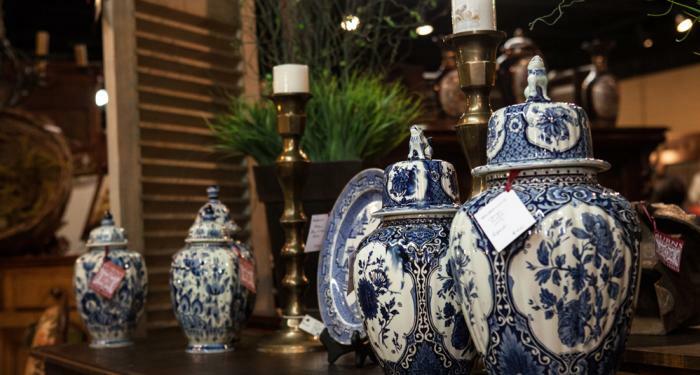 Their selection includes a variety of American antiques; pottery, glass, furniture and more. Jan is a wealth of knowledge and if she doesn&apos;t have what you are looking for, she can certainly find it. If you&apos;re someone who likes a project, BAW Resale in downtown Beaumont is a treasure-trove of parts and pieces that can be transformed into something new. This 15,000 square foot warehouse will certainly yield something you can&apos;t live without. Housed downtown in the old Dallas-Williams furniture store is Dallas-Williams Resale. Staying true to the history of the building, they offer painted and unpainted furniture of all styles and sizes. In addition to these fantastic options for the antique hunter, we have a few businesses who are not antique stores per se, but who incorporate antiques and vintage items with their contemporary merchandise. McManus Company, a lighting and décor gallery has been a staple of Beaumont design for decades. Their sister store Hazel House features a variety of designer quality new and vintage items. At Monica&apos;s Mark, you will find a boutique with on-trend clothing and accessories, surrounded by vintage painted furniture and décor. It&apos;s difficult to say whether the best part of antiquing in Beaumont is the wide variety of styles and merchandise the shop owners have curated, or the people you will meet as you visit these shops. Many of the owners and proprietors are long-time Beaumonters. These are people who have a love for their city and are happy to share that love with those they meet. Come on by and we&apos;ll show you the city through our eyes! 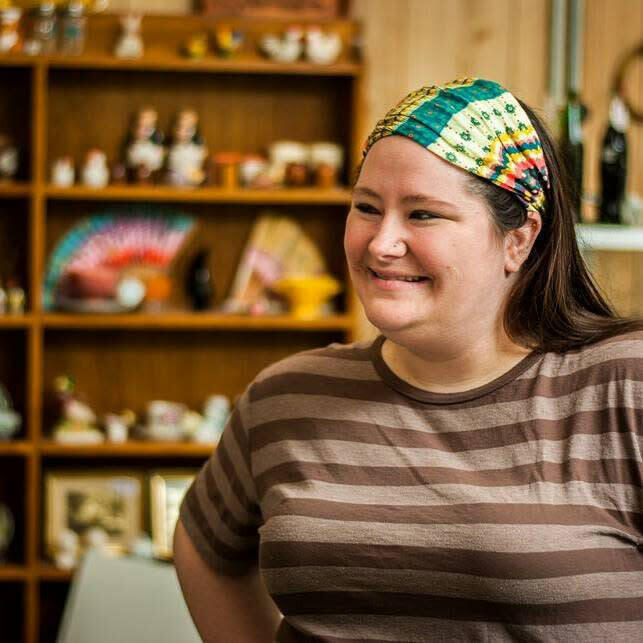 Jen Trenbeath is the owner of Grandma's Basement, a vintage and antique store in Beaumont, Texas. She is a wife and a mom to two boys. She is a life-long Beaumonter, who has high hopes for Beaumont's future. In her free time she enjoys, reading, spending time with her family and friends, and baseball.